According to the Federal Highway Administration, in 2015 there were 700 deaths in work zones in the United States. One preventative measure being taken is to have a message board on a truck in the work zone. 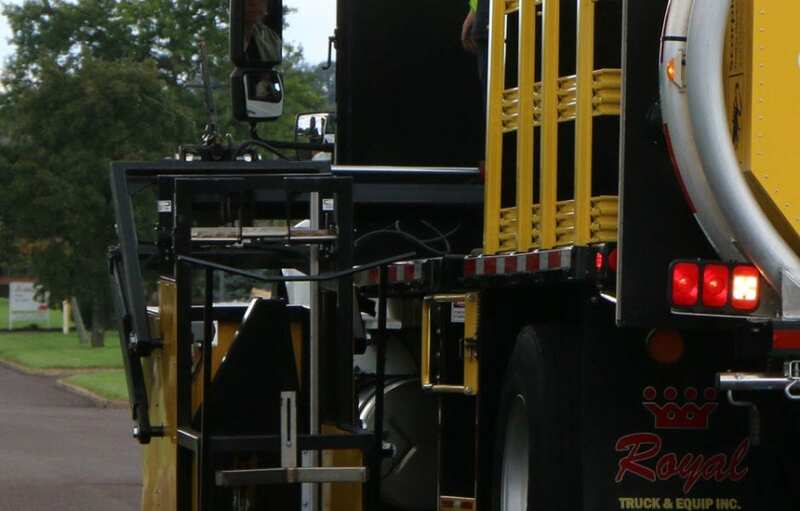 For example, Royal’s new message boards being put on trucks are being used to make drivers in the work zone drive more attentively and cautiously, thus creating a safer work environment. The message board is 3’x6’. They are equipped with a radar system that can track the speed of approaching vehicles behind the truck. The message board can display the speed limit as well as the current speed of the approaching vehicles. The message board is fully programmable. This means that the message displayed on the board can be customized to suit the needs of the operation. It can be programmed with letters, numbers, and graphics, such as arrows and chevrons. 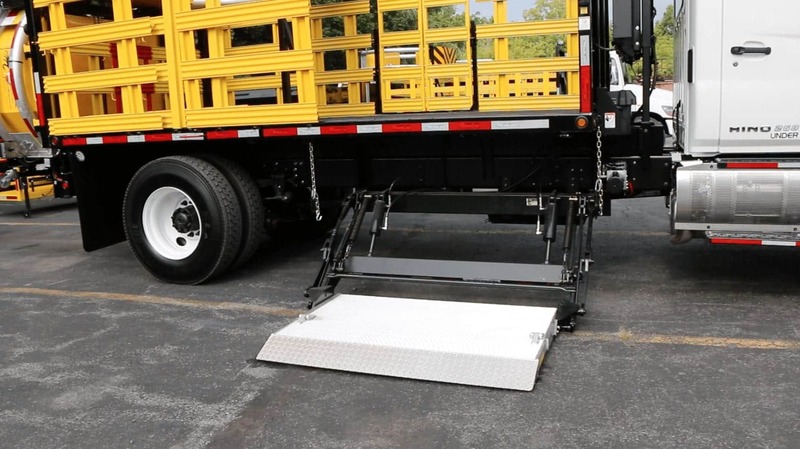 The system is built to withstand truck and road vibration and is protected against harsh road chemicals, such as deicer. 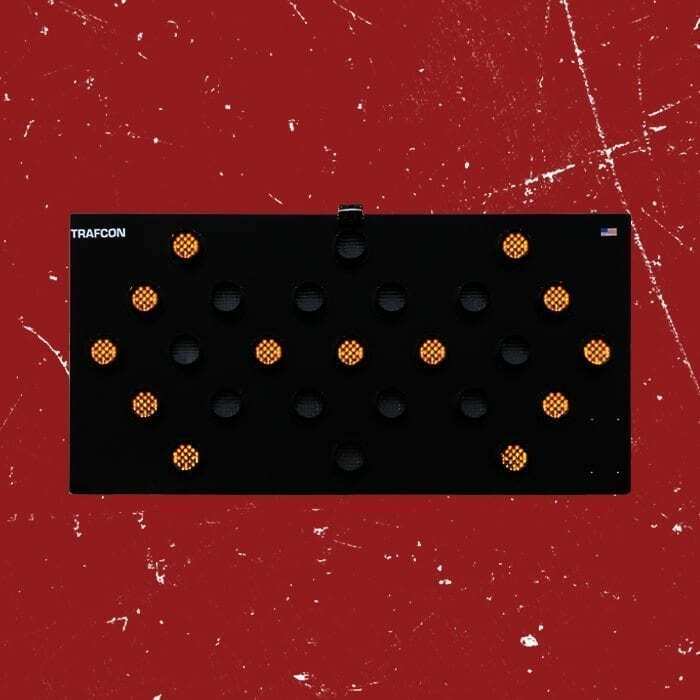 So now that you know about the new message board, the next question you may have is why would you want one on your TMA truck? Ultimately, the goal of message boards is to make the work zone as safe as possible. This is done by clearly displaying the speed limit next to the current speed of approaching vehicles. According to the Federal Highway Administration, speed of the vehicles was a factor in 28% of the 607 fatal work zone crashes in 2014. 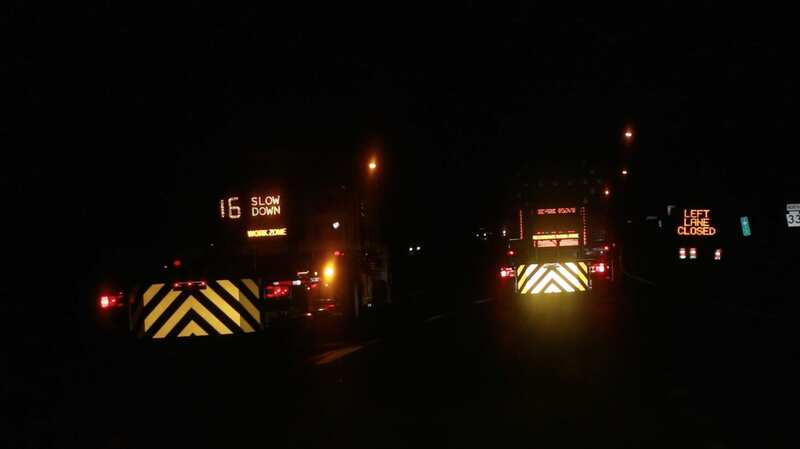 By clearly displaying the current speed of drivers, the hope is to lower their speed, in turn making the work zone safer for work crew members. This belief is backed up by the “Photo Radar Speed Enforcement in State Highway Work Zones” study done in Oregon. 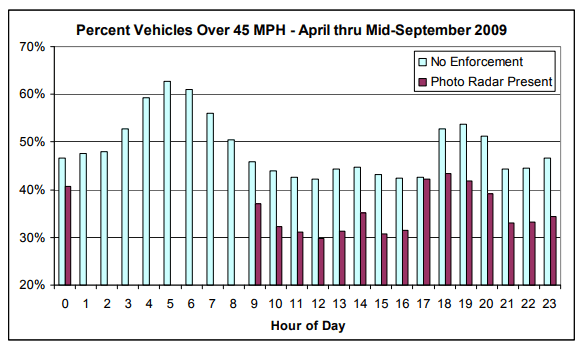 This study concluded that in work zones with a radar board, the “average reduction in vehicles traveling faster than 45 MPH in same-hour comparison is 23.7%.” (see figure below). Another way the new message board is improving work zone safety is in its ability to display custom messages. A fully customizable message board allows for the exact message you want to convey to be displayed. Precise instructions of what to do for approaching traffic should lead to a safer work zone environment. Do you want to see our new message board in action? Watch this video to see it in a recently filmed night operation!